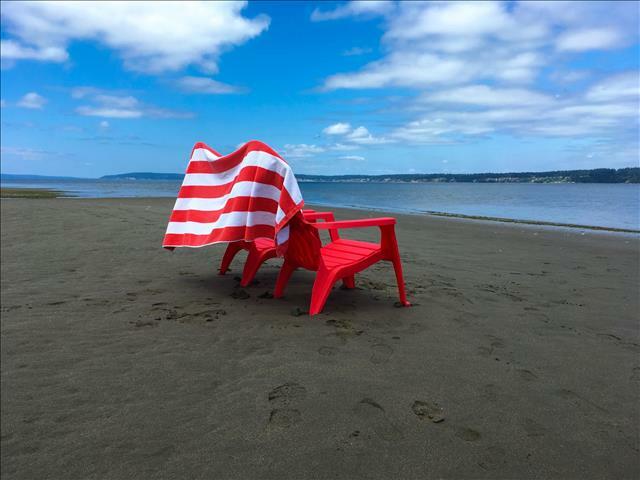 The Mutiny Bay Escape is a privately owned level sandy beach waterfront home located on Mutiny Bay, which is known to be one of the finest sandy beaches on the South end of Whidbey Island! 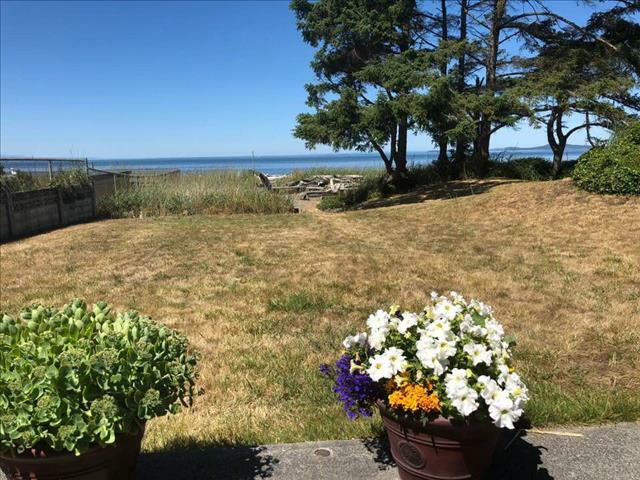 This spacious updated two story beach house has two bedrooms and three bathrooms, plus a huge open area family room on the second floor were there is a third bed and a newer futon couch! All three beds are queen beds! Bring your kayaks, paddle boards & bicycles as Mutiny Bay is a sports enthusiasts dream! 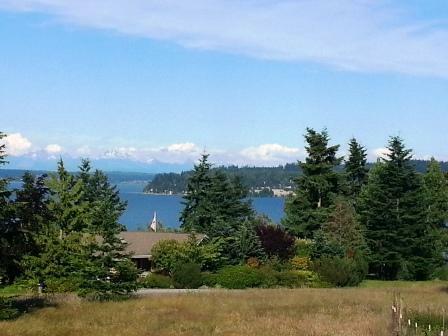 For those of you with larger water toys, the home is located very near a public boat launch! Enjoy the abundance of eagles & osprey soaring by as you watch them catching their meals for the day, while beach combing, as you can walk for miles! 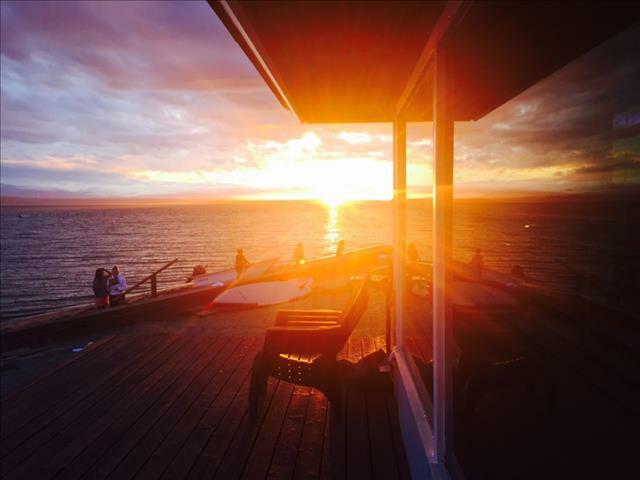 Relaxing by the great built in fire pit, just steps away from the sand, while taking in a spectacular sunset over the Olympic Mountains, will create memories that will last a lifetime! The homes open floor plan with huge picture windows on the entire beach side of the home, both upstairs and down, almost makes you feel like you're on a boat! There is a beautiful floor to ceiling rock fireplace that boasts a propane fireplace on the main level of the home. The kitchen is fully equipped for all your cooking needs! It has stainless steel appliances throughout, along with a small wet bar, commercial six burner stove, commercial ice maker, small wet bar, dishwasher & microwave. Other amenities in the home include wifi, cable tv, a jetted bathtub in the hall bathroom, a steam bath in the huge master bathroom shower, a DVD player, two flat screen TV's, and a washer & dryer. The upper family room also has a second dining table for eating a snack and or playing games or doing a large puzzle! There are fantastic views from almost every room in the house, on either floor! The deck area and large exposed aggregate patio with the huge built in fire pit lends itself to the best of when it comes to outside entertaining. There is a large upper deck off the open area family room, with plexi glass railing, so not to obstruct the beautiful view! Most small to medium sized dogs are accepted at the home, with paying a $40 pet fee. There is a 4 night minimum stay required during peak season and two night minimum stay during the off season. During the off season, all major holiday reservations require a 3 night minimum stay, and are at peak season rates.